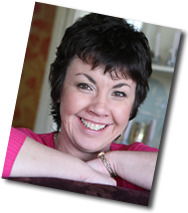 It”s very easy to say ‘follow other people’ but how do you find them? If you look at the left hand side of the gallery page, you’ll see ‘Find Friends’ and if you have included your twitter and facebook names on pinterest, it will show those of your facebook friends as well as those you follow on twitter who are on Pinterest. The chances are that if you follow them, they will follow you back. You might want to check their accounts are active though – as many seem to set up a Pinterest account, repin a few images and then forget about it. Search for areas of interest e.g crochet and follow those boards or pinners you genuinely find to be of interest. Engage with them by commenting or repinning and they may follow you back. When you repin a pin, you’ll see a pop up box come up telling you what other board that pin is on with an option to follow that board. If it looks to be of interest to you, follow it. It’s a handy way of finding great pinners to follow. 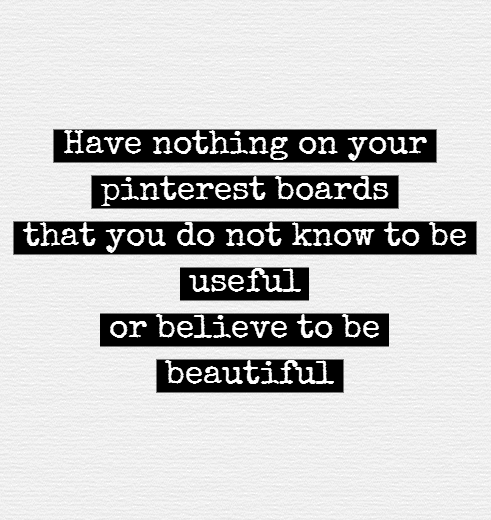 To rephrase William Morris’s quote ‘Have nothing on your pinterest boards that you do not know to be useful or believe to be beautiful’. Pins should be useful or show that their link will answer a question or solve a problem for their intended market e.g. How to get more pinterest followers, how to sew on a button quickly, 9 ways to plait your hair, how to lose weight and keep it off, how to keep algae out of your pond ……. Look at the most popular pins (you’ll find these in the categories section)- how many repins are they achieving and what is it about them that is proving popular? 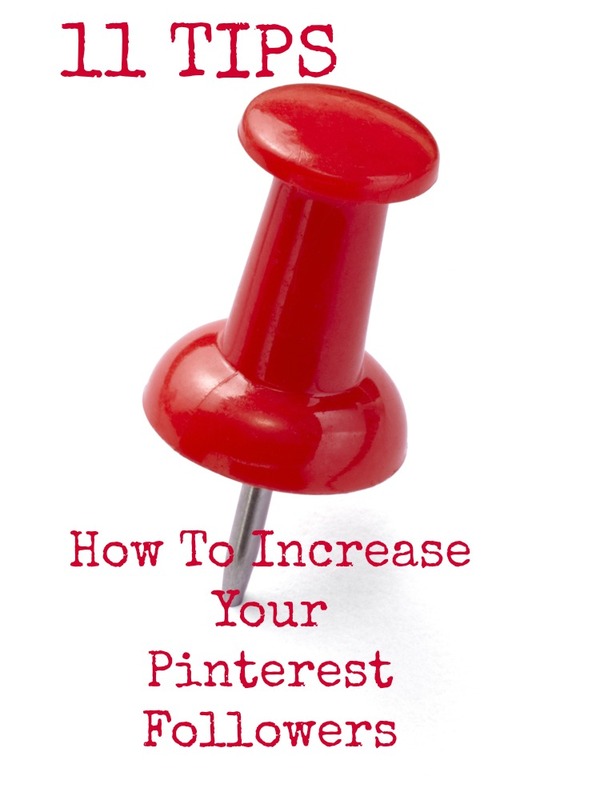 Once you become known for pinning extremely useful or beautiful content, your followers will grow. While we advise the 80/20 rule, 20% being pins from your own website, do try to ensure that a portion of the 80% are pins from other websites you know your followers will find useful or striking – don’t just repin from pinterest. You will lose followers if you pin too many images of the same theme in one go. Seeing an excess of similar pins on the gallery page from one pinner can almost look like spam. 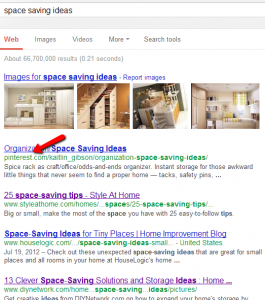 Pin little and often, ensuring that you are pinning from other websites as well as your own content. Use the tailwind scheduling tool to spread them out. Here’s a post explaining how to use the Tailwind scheduling tool. Consider the naming of your boards carefully. Boards are showing in google, as high as the top slot on page one so ensure they are named with keywords that people are using to search for images or information. 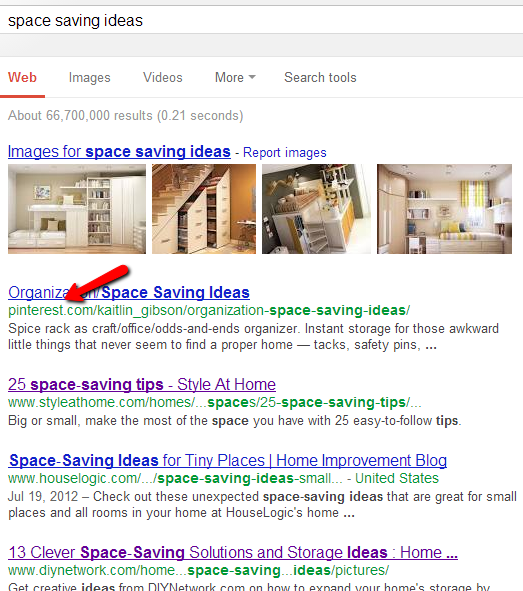 The example below for the search term ‘space saving ideas’ shows a pinterest board with that name showing up at number one in a google search. 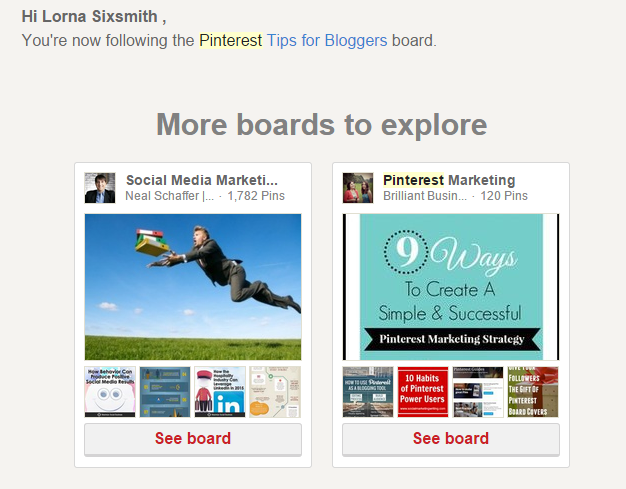 Pinterest’s Interests also provide good indicators regarding board names. For example, if you imagine you are one of your customers who is searching for ‘dresses’, you’ll see a number of sub-categories come up under the Interests. You can see the most popular categories immediately. Therefore, if you sell elegant vintage dresses including wedding dresses in that style – you could set up three boards for those pins e.g. Elegant Dresses, Wedding Dresses, Vintage Dresses, Vintage Wedding Dresses and pin your own pins (as well as other inspirational pins) to those boards although not all on the same day! When writing the description for your pins, be original, show your personality, keep it short, and include keywords. Use your description to invite action, be it to encourage a comment, a repin or a click through to the website. The column layout of the Pinterest page means that the space given to image is determined by its width, therefore portrait images have more visibility than landscape images. It is interesting that the design for posters for many new films has changed and they are now ‘long, tall and skinny’. Images that are more visible on the gallery page have a higher chance of being seen, being repinned or liked which translates into you gaining more followers. Some of the posters for The Hobbit are even ‘extra long’. It is extremely important that you do not pin the same image from your website numerous times because your most recent pins show if someone clicks on your profile and your ‘pins’ – you will appear boring if numerous ones are the same. Therefore, if you do wish to share the same pin to different boards (as I suggested in #5 as a good tactic) ensure that you spread them out over days and weeks – using the scheduling tool for convenience. Include your pinterest button or badge in the sidebar of your blog, as an app on your facebook page, in your email signature, maybe even your business card. Ensure your boards are attractively laid out in that the boards that most reflect the ethos of your account are in the top two rows, out-of-date seasonal ones e.g. Easter are safely at the bottom of the page and that the board cover image can be seen clearly and demonstrates the content of the board. Change your board cover image occasionally too – both to revive your Pinterest account and to showcase your recent pins. One way to grow your followers to your overall account, individual boards and to ensure your pins are seen by more people is to start some shared boards and invite others to contribute to them. I find that my pins to active shared boards with constantly good quality pins receive many more repins and click throughs. Join other shared boards too. If you are invited to contribute to another shared board, do check it out first. If you do join and decide after a while that it isn’t for you, it’s easy to leave it. 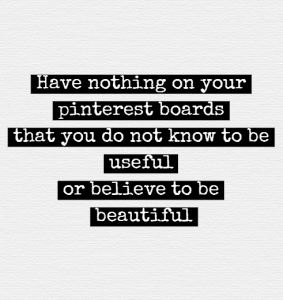 Having a very focused, well populated and frequently visited board can mean that your board is featured on Pinterest. From time to time, I’ve noticed significantly more followers to one of my boards which suggests it is being shown as a ‘suggested board to follow’ to new members. Pinterest also send its members emails suggesting boards to follow too. The choices they send are related to their personal preferences. 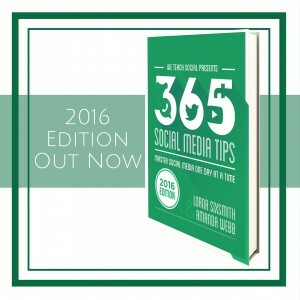 You can see that having attractive cover images is importance in enticing people to click through to see your board and follow your account. As with all social media platforms – it is not the number of followers that counts, but the interaction and engagement that you enjoy with them. More followers should result in more traffic to your website but only if your pins are beautifully striking or provide much needed information. Which methods are you using and are they working? I’d love to hear. Enjoy pinning. 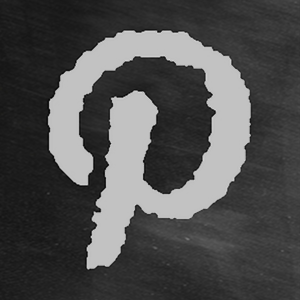 If you would like to pin more effectively for your business, we now teach three Pinterest courses as eLearning courses. You can take the course from wherever you are in the world from the comfort of your own home or office. I am new to Pinterest, but my partner has written an awesome post about it too! And thank you for sharing these tips on how to get more followers on Pinterest. How about designing beautiful instructographics? I am familiar with infographics but some studies have shown that instructographics go viral on Pinterest. Just started using Pinterest account. This post is very helpful for new users like me. Havent heart about rule #3, thank you for great pinterest rules. I’ve learned a lot from this post. Thank you! These are all great tips. I have yet to start a shared board. Thanks for sharing. Cool! I already doing some of it! Thanks! I agree Richard I tried many tools too, and PP is my favorite by far!